Between about 1967 and 1978, large amounts of older material stored in the BBC's various video tape and film libraries were either destroyed,[note 3] wiped, or suffered from poor storage which led to severe deterioration from broadcast quality. This included many old episodes of Doctor Who, mostly stories featuring the first two Doctors: William Hartnell and Patrick Troughton. 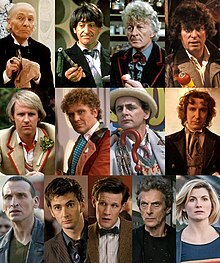 In all, 97 of 253 episodes produced during the first six years of the programme are not held in the BBC's archives (most notably seasons 3, 4, & 5, from which 79 episodes are missing). In 1972, almost all episodes then made were known to exist at the BBC, while by 1978 the practice of wiping tapes and destroying "spare" film copies had been brought to a stop. 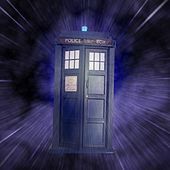 This page is based on the Wikipedia article Doctor Who; it is used under the Creative Commons Attribution-ShareAlike 3.0 Unported License (CC-BY-SA). You may redistribute it, verbatim or modified, providing that you comply with the terms of the CC-BY-SA.